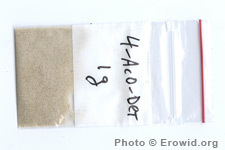 4-Acetoxy-DET is a synthetic psychedelic. It is very uncommon and has only a short history of human use. It's effects have been compared to psilocybin.